Specialist Waxing Salon in Cheadle, Cheshire using the Best Hot Peelable Wax for the most Comfortable Brazilian wax in Manchester. If you are nervous about going to be waxed for the first time, try a visit to The Waxologist in Cheadle…. The Waxologist, Manchester is a dedicated Waxing salon, located in the centre of Cheadle, Stockport in South Manchester. We Wax Top to Toe, Front to Back, Any Hair Anywhere! If you’re a nervous ‘Wax Virgin’ or if you’ve had a ‘Waxing Nightmare’ come to us. We’ll put you at ease and show you that waxing doesn’t have to be embarrassing, awkward or horrifically painful. 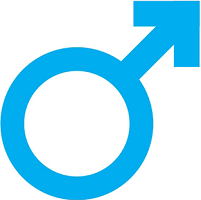 As hair removal specialists, you can be assured that all our therapists are highly trained and fully insured. And we’re great at what we do – so you’ll leave us feeling sleek, smooth and looking fantastic. Intimate Waxing. This is our speciality – it’s a quick, hygienic and long lasting option to remove those unwanted hairs from your intimate area. Whether you want everything off (Hollywood), keep a small “landing strip” (Brazilian) or just neaten up your Bikini area come to us for great results and minimum discomfort. Pain Free Waxing? We’d love to say that our waxing is totally painless but, sorry, there’s always going to be some discomfort. However, our clients tell us we give the most comfortable wax they’ve ever had and we make every effort to ensure your visit is as pleasant as possible. 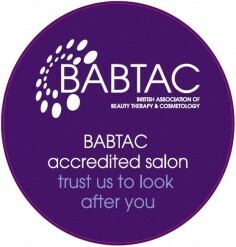 Therapists are certified and fully insured with Babtac. Habia standards are also adhered to ensuring a safe and hygienic environment. We also provide the full range of high quality pre and post waxing care as we believe it really makes a difference to the treatment and therefore your skin.